The Best of @JatinKiDuniya: 1st Festival of the year- Lohri. 1st Festival of the year- Lohri. Wish all of you a very happy Lohri. Celebrate the first festival of the year with all the excitement. and the kite of your success soar high into the sky. Fire your ego and bad attitude in this Lohri and have a positivity surrounding you. Happy 1st Lohri to the newly wed brides and new born babies. I wish you and your family a Happy and prosperous Lohri. May Lohri fire burn all the moments of sadness and bring you warmth of joy and love. May the warmth of the bonfire , sweetness of Gur and Rewari remain with you forever. 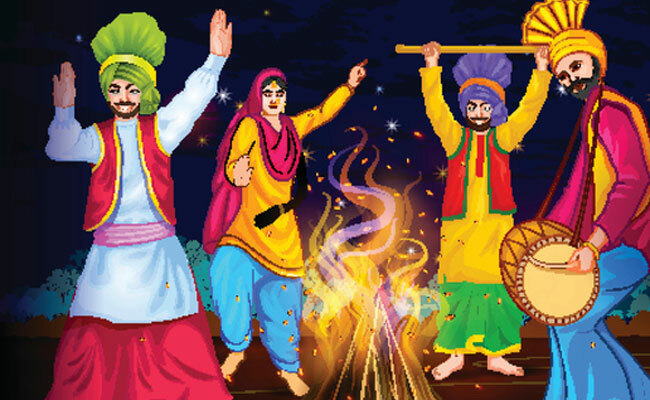 May your life be as colourful and joyful as the festival of Lohri. Dullhe di dhee vyayaae ho! sanoo de de Lohri, te teri jeeve jodi.